This post is sponsored by Ancestry. CONGRATULATIONS to you all and thank you for entering, commenting and sharing. I will be in touch via e mail to collect your mailing info for my friends at Ancestry! Some of you had questions about what you can learn through completing your DNA test. Others had questions about what happens when you sign the Ancestry waiver, or are concerned about sending out your DNA – can insurance companies get this info? Can you learn more about your health records to understand what genetic issues may be in your background? Visit Ancestry.com/DNA for answers to your questions – they break down just about every question you could ask on their FAQ (click here), terms and conditions and in their privacy statement. They’ve got a whole section on informed consent that’s worth reading if you want answers. Also you can contact their team directly for any questions specific to you. I know I have no regrets about going on my own DNA discovery journey, and I hope you have the same feeling when you go on your own. So many of you shared stories of your own fragmented family trees, your own desires to know more about your genetics, your families and more. I honestly wish I could give away DNA kits to EVERYONE who commented. Unfortunately, I’ve only got 10 for free. BUT my friends at Ancestry are kindly offering a special discount: today through February 25, 2018, AncestryDNA kits are on sale for $69*! Click here to purchase your kit today and save. I hope that more of us with questions and yearning to know more about our heritage and personal family history can eventually find the answers we are seeking. Thank you to Ancestry for partnering together and for providing this deal to Afrobella readers. And thank you all for reading and supporting Afrobella – I wouldn’t be able to do things like this without you! This post is sponsored by Ancestry, but the opinions are mine! 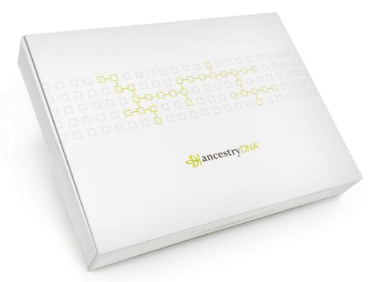 *AncestryDNA kits are priced at $69 now through February 25, 2018 only. Omg! I’m so happy to be a winner. I can’t wait to find out my results. I’ll be sure to keep you posted. Thank you so much! OH MY GOODNESS! Thank you so very much! I have been saying that I needed to do this for so long. I am so grateful! And I will be sure to share my results with you. I’m so excited to be a winner and thank you! Omg!!! I am truly grateful. I thank you and Ancestry for the wonderful opportunity. Many, many thanks to you and Ancestry for this incredible opportunity! I can’t wait to share my results. I am so grateful! This was a wonderful partnership and will encourage many more to take that test. Omg I won?! I never win anything! ? THANK YOU!! !